Image of the Coax to Dual-Ridged Rectangular Waveguide Transition. 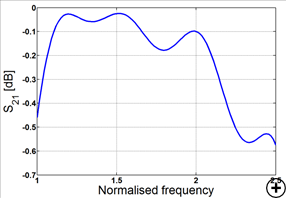 Normal rectangular waveguides' bandwidth is limited at the low end by the fundamental TE10 cuttof frequency and at the upper end by cuttof frequencies of the next higher order modes e.g. TE01 and TE20. 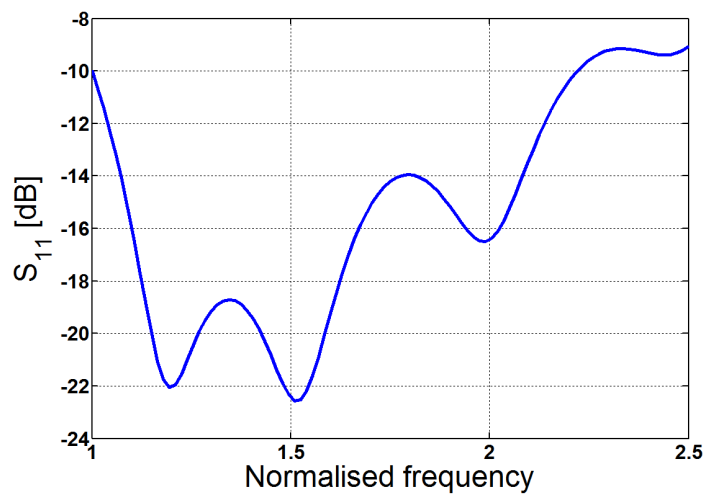 By adding a central ridge to either the top, the bottom or both of a rectangular waveguide, the cutoff frequency can be lowered due to the capacitive effect it introduces. One of the most common ways to launch a wave in a ridged waveguide is through the use of a coaxial to waveguide adapter/transition. 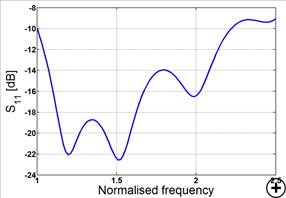 The coaxial line's impedance is then matched to the dual-ridged waveguide mpedance through a number of steps in the ridge spacing using a Chebychev impedance matching method. 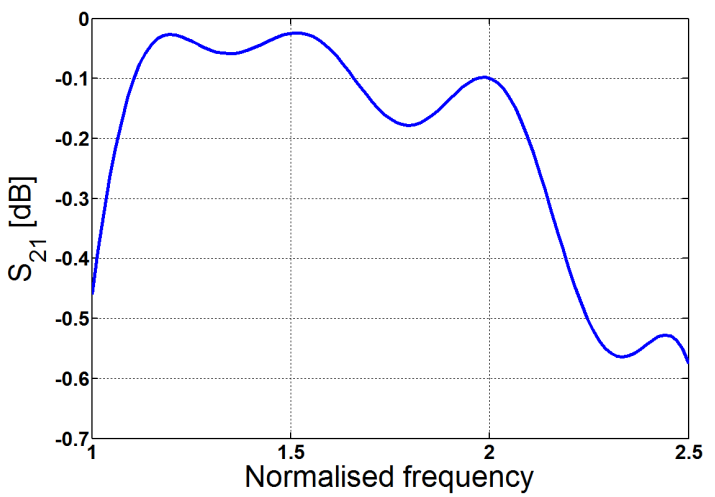 The typical impedance bandwidth is about 2.3:1 but can vary from 1.8:1 to 3.6:1 depending on the feed, cavity and ridge dimensions.